I' joined the website years ago in 2013, was searching for a Cobra, but then financial situation got messed up, so I shelved the idea of ever getting a Cobra. But, things are better now, and I'm working in Hong Kong. Once of them did show up in the local classified 3 years ago, I don't think it ever sold and the owner never renewed their ad. I've been keeping an eye on the local classified, but nothing yet in the last 2 years. So I'm debating buying one in the UK then shipping it to HK. By chance has anyone here shipped a car to HK? I don't mind a more rough car as long as it pass the inspection. I can always redo the paint, bodywork touch up, interior etc, after I get it imported. Seems better to buy cheaper up front to avoid the heavy tax, then do the up afterwards to bring it up to spec. The car has finally passed, and I've gotten it on the road! Did you import in the end? 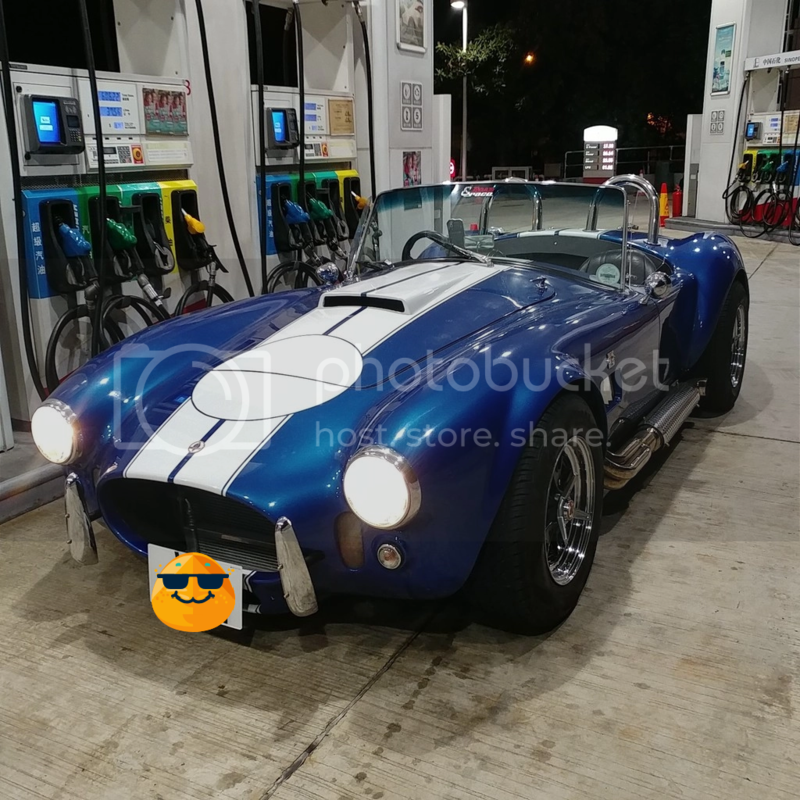 Ahh, a Cobra in it's natural home - the fuel station!! Well done for getting a Cobra in HK. It would be interesting to hear your story for getting the Cobra since your first post. I haven't had to drive it much, as the starter is bad. the gear on the starter does not retract quick enough so it grinds. I have a new starter on it's way to HK. Don't know if anyone watches the youtube car channel "Seen through Glass"